Kind Words Challenge with The Kindness Elves! We are excited to announce a Kind Words Challenge for the month of February and would love for you to join in! Inspire acts of kindness with your own kids (and whole family!) or with those that you teach at school or in clubs. This is a project that will benefit everybody and has such far reaching benefits, plus, it’s FUN! February 17th is International Day of Random Acts of Kindness and the world certainly seems to need plenty of those right now. 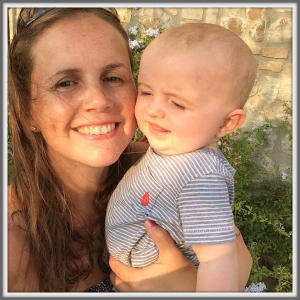 We all want to encourage our kids to show love, kindness and respect to all and we have a wonderful project that you can join in with which aims to do just that, in a magical and fun way using the Kindness Elves! 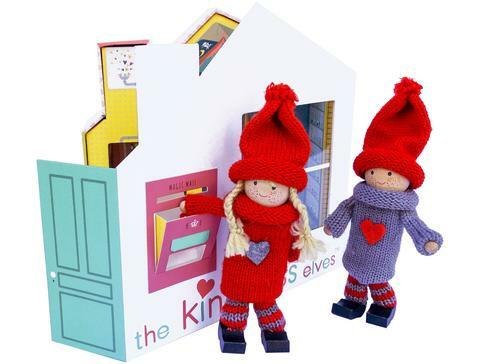 As you may well know, I created The Kindness Elves concept (and adorable range of products!) 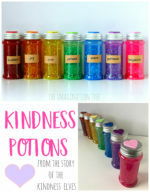 as a way to teach my own children about the value and importance of showing kindness to others, in a magical and playful way. 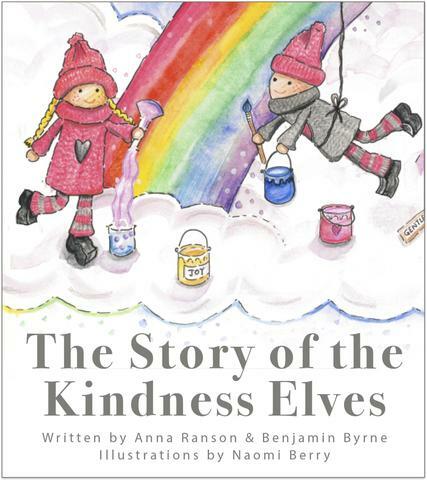 If you’ve read the accompanying story book The Story of The Kindness Elves (released just a month ago!) you will know that the Kindness Elves are not just a Christmas tradition but a year-around one. They live in their magical home in the clouds, painting rainbows and mixing kindness potions. 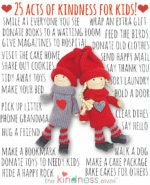 They work together with children to spread acts of kindness and helpfulness as they’re just too little to do it alone! The children make wonderful helpers and often have the best of all the ideas for ways to help! Our February Kindness Challenge is to show an act of kindness every single day this month using JUST the magical power of words, both written and spoken! The challenge will be to use our written and spoken words to focus on building each other up, letting people know how much we value them and how grateful we are. This is what we are going to do. 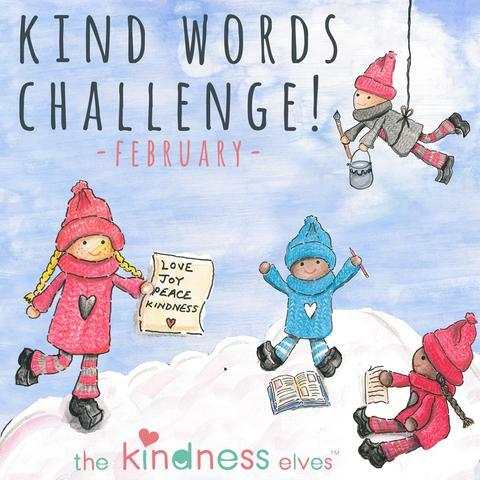 At the beginning of February the Kindness Elves will arrive in homes and classrooms with a little letter saying that they are here to spread the news about the magical power of kind words and that they have lots of fun challenges for acts of kindness using only words. 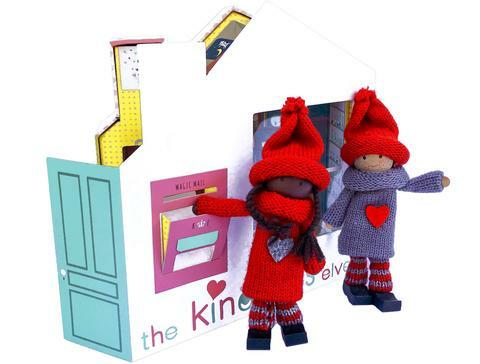 There’s still time to order your Kindness Elves to join in! Our Kind Words Challenge will be a project be a focus for the whole family (or class) so that includes adults as well as children. We all need a reminder to use only kind words and it will be a great discussion point and encouragement for us all! We are going to focus on two areas: writing and speaking. Here are some examples of the fun ideas we have for spreading this oh-so-important message. Writing cards, thank you notes, letters to friends and family. Making lists of reasons we love or admire someone. Writing stories or poems to brighten someone’s day. Leaving secret messages on rocks, written in chalk, on a mirror, with letters on the fridge, under a pillow and MORE! Speaking up for others who need a friend, telling your parents how much you love them, saying only thankful thoughts all day without a complaint, explain to others about an important cause or charity you love, thanking teachers/ medics/ service people for what they do, giving reasons that you’re happy and confident to be you! And MORE! We will share one challenge a day on our Facebook and Instagram pages for a fun and creative way to use words in a kind way. The ideas will be fun, magical and educational including writing secret messages, hidden notes, scratch-and-reveal words, fold up notes etc as well as some fun and quirky ways to write e.g. on the mirror, with magnetic letters, chalk on the board, on teeny paper, special notecards etc. We can’t wait to see your own photos and you own Kind Words projects which might grow from this initial prompt! Tag us on social media with #kindwordschallenge and #thekindnesselves so that we can find you! 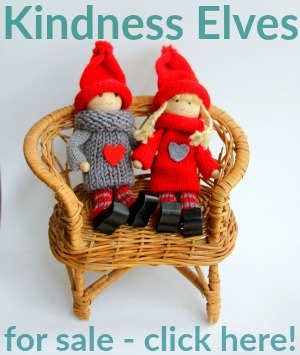 If you need a set of Kindness Elves to help you with your Kind Words project, choose from our 11 different options here. We ship worldwide with flat-rate shipping! This is a PERFECT challenge for a class or whole school kindness initiative! 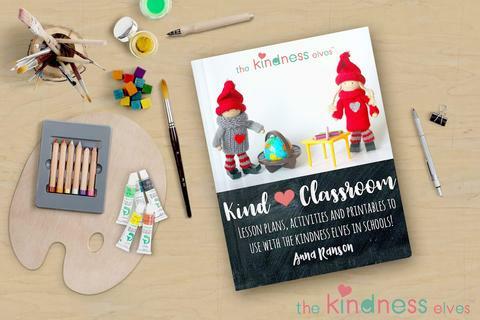 If you’re a teacher you will love our Kind Classroom eBook and materials too, which already support lots of Kind Word ideas! 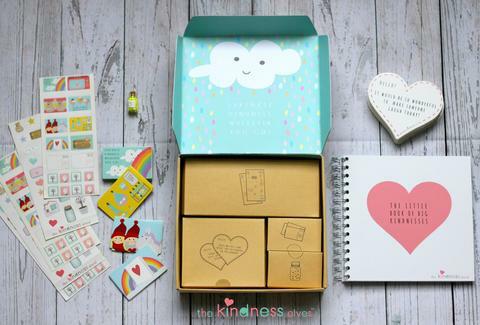 The Accessories Kit contains a wonderful Little Book of Big Kindnesses memory book as well as stickers, mini postcards and acts of kindness cards, so this is a perfect addition to help with our Kind Words Challenge too. Can’t wait to get started with you and spread the kindness far and wide! Move Over Elf on the Shelf: Start the Kindness Elves Tradition! 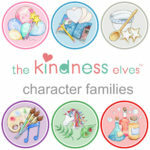 Meet the Kindness Elves Family Groups! Simple Acts of Kindness for Kids to do!